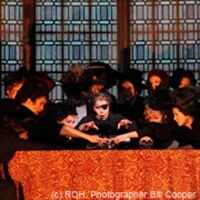 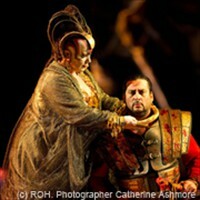 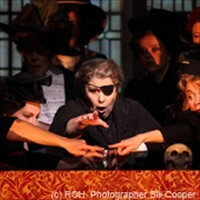 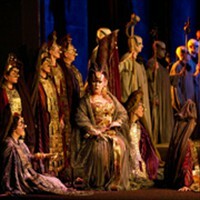 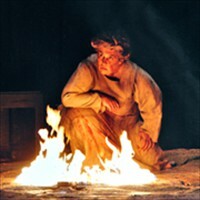 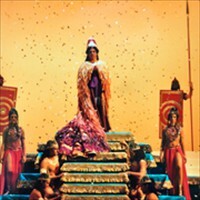 Acclaimed performances of iconic leading Verdi roles include engagements as Azucena in Il Trovatore at the Teatro alla Scala in Milan, Metropolitan Opera, Arena di Verona, Bregenz Festival, Teatro Comunale in Florence, National Theatre of China in Beijing, Teatro Muncipal in Sao Paulo, Teatro San Carlo in Naples, Gran Teatre del Liceu, Bavarian State Opera in Munich, La Coruña in Spain, Israeli Opera in Tel Aviv, Teatro Regio in Parma, Teatro dell'Opera di Roma, and in the Teatro Comunale di Bologna's tour in Japan, and as Amneris in Aida at the Teatro alla Scala, Hamburg State Opera, Vienna State Opera, Deutsche Oper Berlin, New National Theatre Foundation in Tokyo, Theatre Royale de La Monnaie in Brussels, Israeli Opera at Masada, Teatro Massimo in Palermo, Teatro Carlo Felice in Genoa, Auditorio de Tenerife, and Choregies D'Orange. 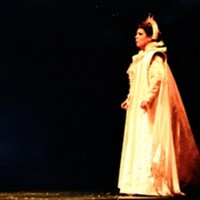 Engagements in the 2017-2018 season include performances as Princess de Bouillon in Adriana Lecouvreur at the Teatro Massimo of Palermo; Gianni Schicchi and L'enfant e les Sortiléges with the Seiji Ozawa Music Academy Opera Project in Kyoto, Tokyo, and Nagoya, Japan; Un Ballo in Maschera with the Bolshoi Theatre; and a chamber concert at the UK's North Norfolk Music Festival with violist Simon Rowland-Jones and pianist Gary Matthewman in songs by Brahms, Schumann, and Copland. 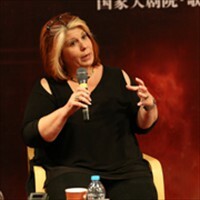 Highlights of Cornetti's recent engagements include her debut as Princess Eboli in Verdi's Don Carlos in Tokyo as well as acclaimed performances in Parma, Bilbao, Rome, Vienna, and London; Un ballo in maschera at the Royal Opera House in Covent Garden; her debut as Dame Quickly in Falstaff at the Palacio de la Ópera in La Coruña, Spain, followed by a reprisal of the role at the San Diego Opera; Fidès in Le prophete at the Aalto-Musiktheater Essen; Jezibaba in Rusalka and The Witch in Hansel and Gretel at the Minnesota Opera; Lady Macbeth in Macbeth, Laura in La Gioconda, and Ulrica in Un ballo in maschera with the Deutsche Oper Berlin; Preziosilla in La Forza del Destino at Gran Teatre del Liceu in Barcelona, La Monnaie in Brussels, and at Carnegie Hall in New York City; as the title role in La Gioconda at the Rome Opera and Romanian National Opera; and Abigaille in Nabucco at the New National Theatre Foundation in Tokyo, La Monnaie in Brussels, and at the Metropolitan Opera. 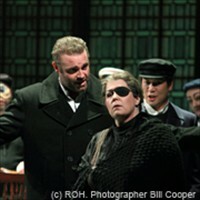 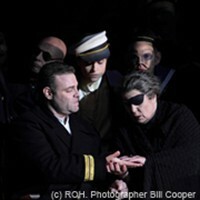 In 2005, Cornetti sang her first Wagnerian role, appearing as Ortrud in Lohengrin at the Teatro Giuseppe Verdi in Trieste. 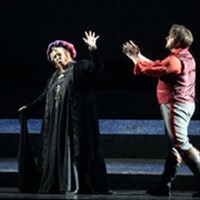 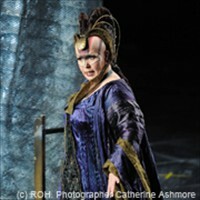 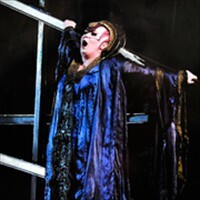 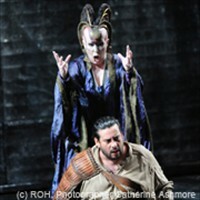 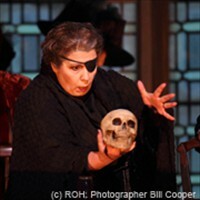 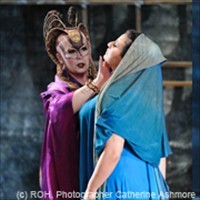 She continued her excursion into this repertoire with her debut as Brangäne in Tristan und Isolde at the Teatro dell'Opera di Roma and has since sung the role of Ortrud in Amsterdam, Paris, Sao Paolo, and Palermo, and has appeared as Brangäne in Genoa. 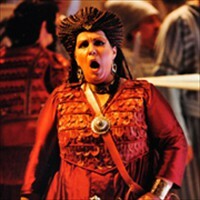 Cornetti's verismo repertoire includes Santuzza in Mascagni's Cavalleria rusticana, which she performed at Teatro alla Scala; Princess de Bouillon in Adriana Lecouvreur at the Teatro di San Carlo, Gran Teatre del Liceu in Barcelona, Teatro dell'Opera di Roma, Teatro Regio in Turin, Opera di Firenze, and Dutch National Opera; and Rosa in Cilea's L'Arlesiana, which she sang to great acclaim at the L'Opera de Montpellier and at Carnegie Hall with the Opera Orchestra of New York. 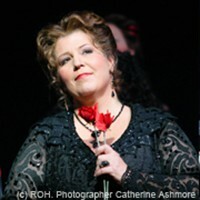 She appears frequently in concert in such works as Verdi's Requiem, Beethoven's Ninth Symphony, Rossini's Stabat Mater, Elgar's Sea Picture and De Falla's El Amor Brujo. 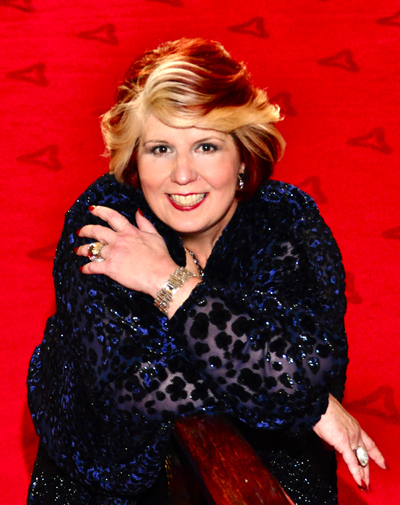 She has recorded Cilea's L'Arlesiana and Puccini's Edgar opposite Plácido Domingo and was recently featured on a Teatro Regio di Parma recording of Verdi's Don Carlo released in 2017 on the Dynamic record label. 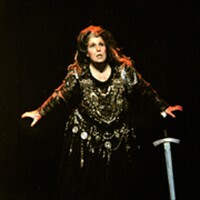 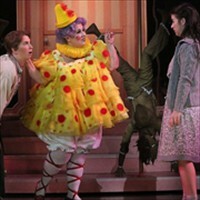 Cornetti began her professional career singing supporting roles in such important theaters as the Metropolitan Opera, Pittsburgh Opera and Wolf Trap Opera. 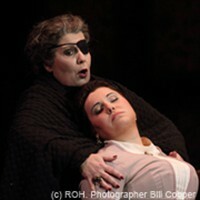 For more information, visit www.mariannecornetti.com.